In 2019, Revolution began supporting a family of church planters in Germany. 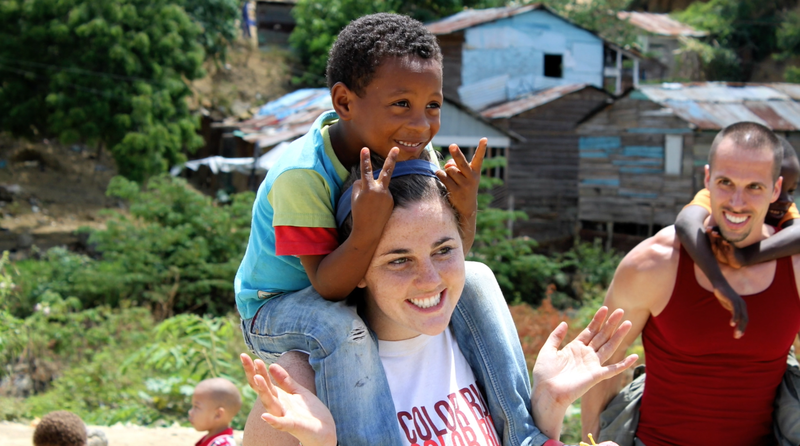 Nick and Mallorie Burczyk, along with their kids Cade and Clara moved to Germany with the call to serve unchurched areas and love people with the love of Christ. Fewer than 3% of Germans have an active faith and only 2% of teenagers report believing the Bible is true. Through God’s power and leading, the Burczyks have launched new home groups in their area, teach regularly across the region, are planting churches and working with established congregations to reach Germany with God’s love and equip leaders to see multiplication in their own communities. 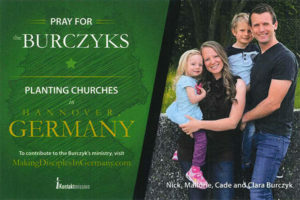 For more information about the Burczyks, click the button below or visit www.makingdisciplesingermany.com.